Back in 2008 Redline had joined forces with a large Chevrolet dealership in New York which carried the slogan “can history repeat itself?”. A program was started which was geared providing packages to increase the performance of productions models like Corvette and Camaro. The program successfully ran until 2012 when Redline decided to pull its roots from NY and grow its operations in the sand in South Florida! 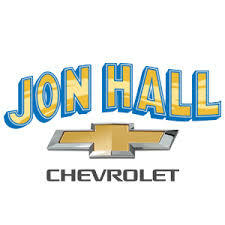 After a five year break with the dealer program to focus on strengthening the brand, Redline has pulled the slogan back again with well know Chevrolet dealership Jon Hall Chevrolet located in Daytona Florida. “I have been working with the guys at Jon Hall Chevrolet since we arrived from NY” Tanner stated, President of Redline “I like their attitude with customers as well as their taste for performance”. Redline has also built a solid relationship with Mike Ditchek, one there their lead sales associates who will be heading up there performance division. “Mike is a true performance enthusiast and truly gets the passion behind it. We have probably built him 4-5 cars in the last five years so we can attest to his addiction!” Tanner commented. We look forward to repeating what we did back in NY…..history will repeat again!